Last month I took part in Scroll Free September, and discovered that when I made the effort to put my phone to one side I had plenty of time to devote to my hobbies. 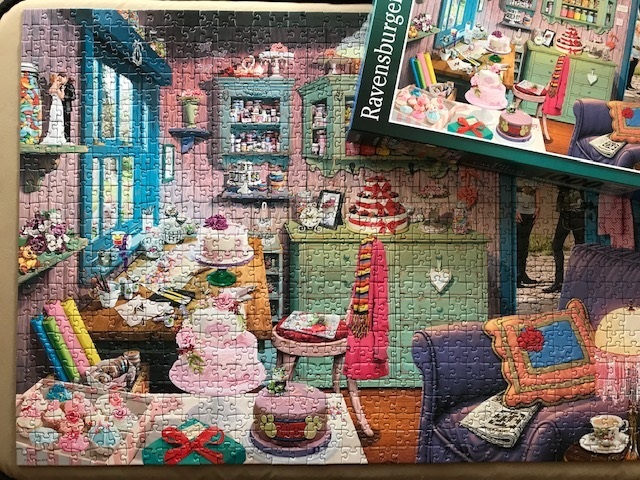 One of these is completing jigsaw puzzles - and with perfect timing I received this lovely jigsaw puzzle from Ravensburger to review - The Cake Shed. This 1000 piece jigsaw puzzle features a colourful and cosy shed, set up for decorating many different types of cakes. As well as large celebration cakes ready for collection there are all the supplies that one might need - ribbons, tools, jars of sweets and sprinkles, all beautifully stored and out on display. When it's time for a break, there's even a cosy armchair complete with crossword book and a cup of tea. 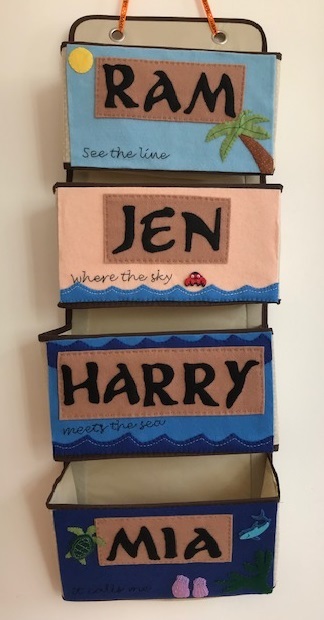 I think that lots of people dream of having their own little hideaway where they can escape from the world and spend time crafting or creating - I know that I do! So this is a lovely puzzle to complete while you daydream about your own little space. 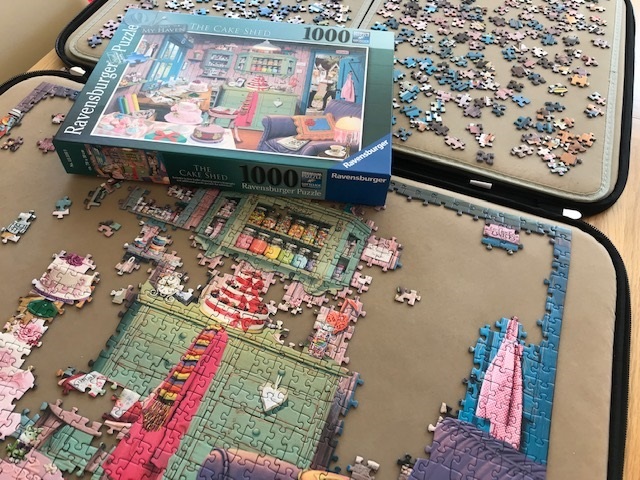 The jigsaw pieces are high quality and fit together beautifully, and there is plenty of variation in the design as you complete different sections. 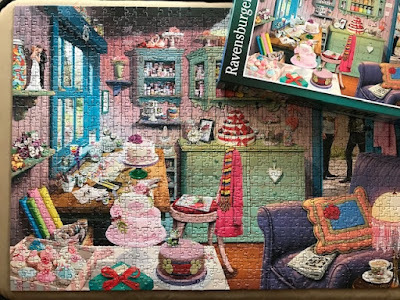 I really enjoyed completing this puzzle and I love the finished picture! I was sent this jigsaw puzzle in exchange for a review.